Blue skies with perfect white clouds make me weak in the knees. I don’t know when my penchant for them started but I seem to make a mental note to check them out all the time. This is probably why I noticed right away how Guam has the bluest sky and the prettiest clouds ever. Even with rain pouring down on us every now and then, not once did I see the sky gloomy and gray. 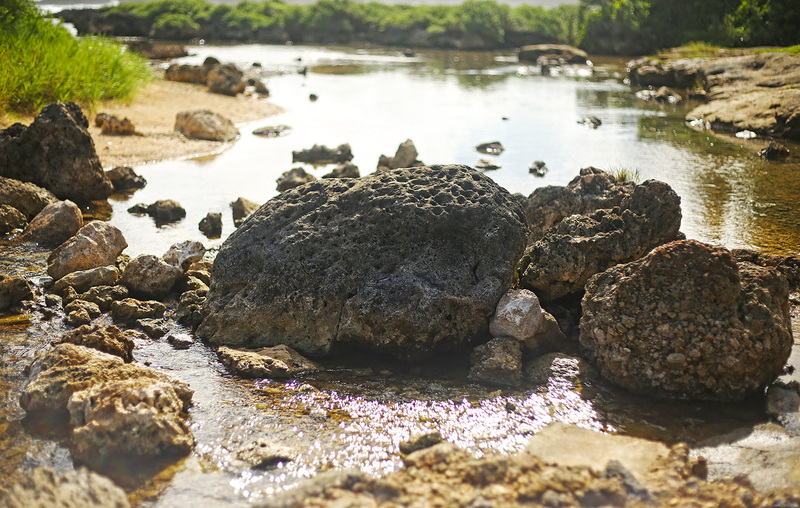 It made capturing Guam’s scenery even more appealing as we visited a few historic landmarks, natural attractions and the Chamorro village. As usual, ever the diligent blogger that I am, I compiled the first part of our tour into a photo diary below. Here’s a quick summary of the places we visited so that you can check them out as well when you go to Guam. In 1950, the Boy Scouts of America built a small replica of the U.S. 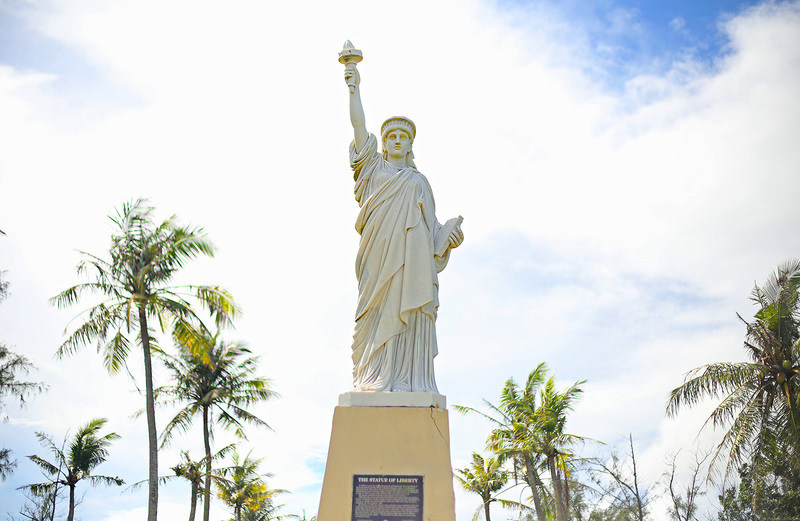 Statue of Liberty to commemorate the organization’s 40th anniversary. 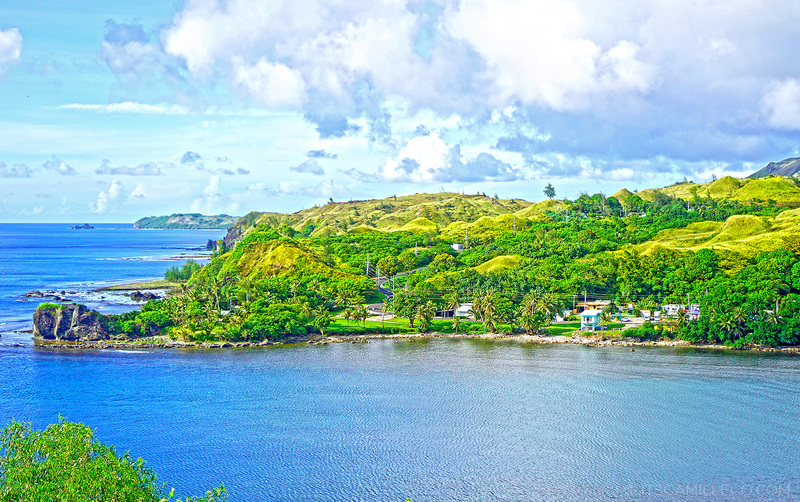 It’s overlooking the Agaña Bay so the site offers a beautiful view of Guam’s natural beauty. This site is commonly known as Fort Soledad. 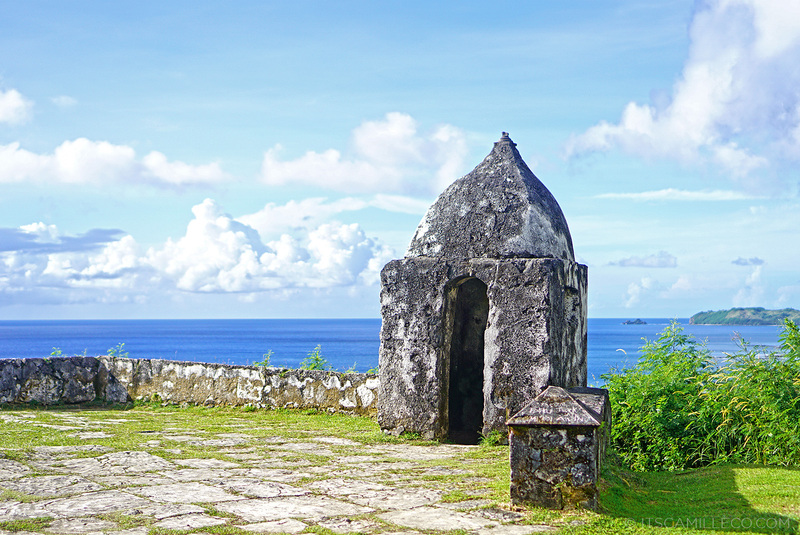 It’s the last of four Spanish fortifications in the village of Umatac. Because it’s located atop a steep bluff, it provides another amazing view of the billage, the bay, the rugged coastline and the southern mountain range. This is my favorite out of all the tourist spots we visited. It’s a natural system of swimming pools just off the main road near the village’s Catholic church. I love how the ruggedness of it all mixes with the breathtaking skies and clear waters. There’s just no way to take bad photos here. Absolutely impossible. 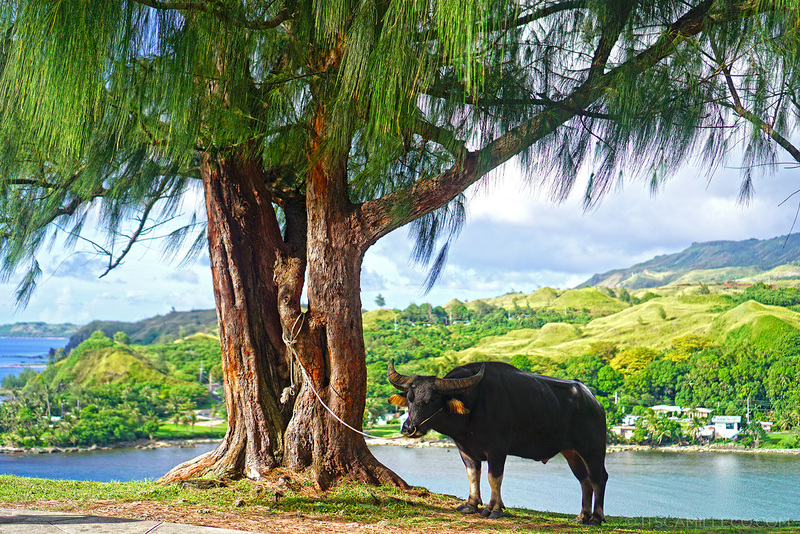 Guam is proud of its Chamorro heritage. 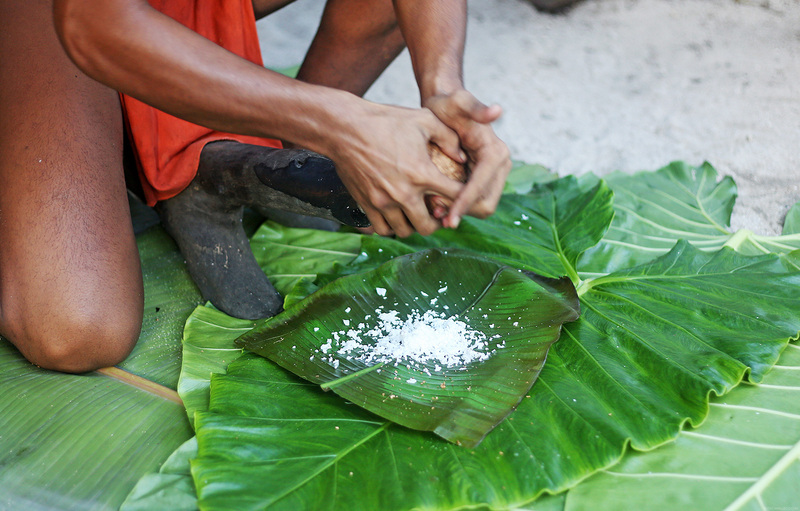 Its culture has existed in the tropical island for more than 4000 years. 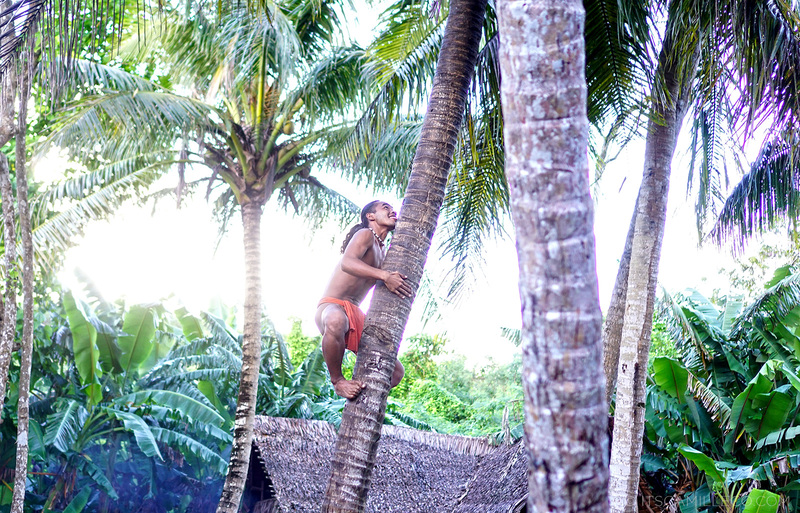 A visit to the Lina’la Chamorro Cultural Park shows tourists how ancient Chamorro villages looked like and how Chamorros hunted and survived through the years. This Spanish historical site was built in the 1800s. It was originally built to keep the bay and city safe from intruders. 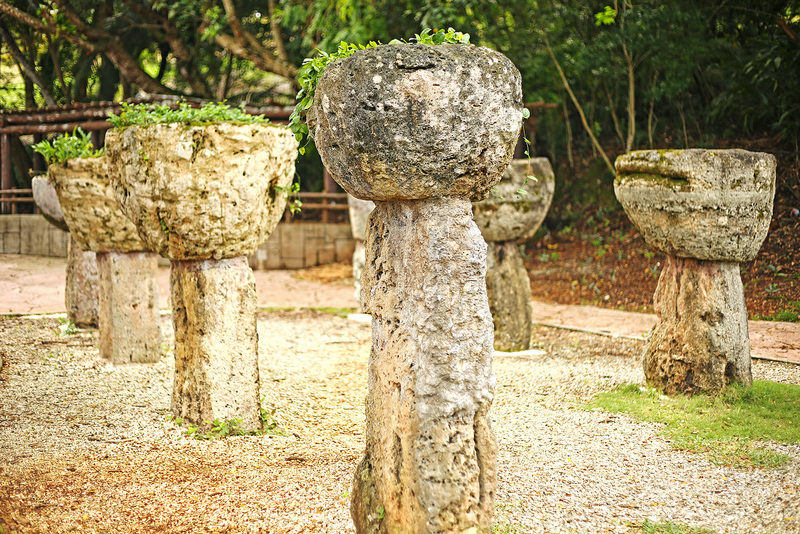 Now, there are still three canons that remain here. Naturally, instead of taking photos of the canons, I chose to capture the view from the Fort. What did I tell you? 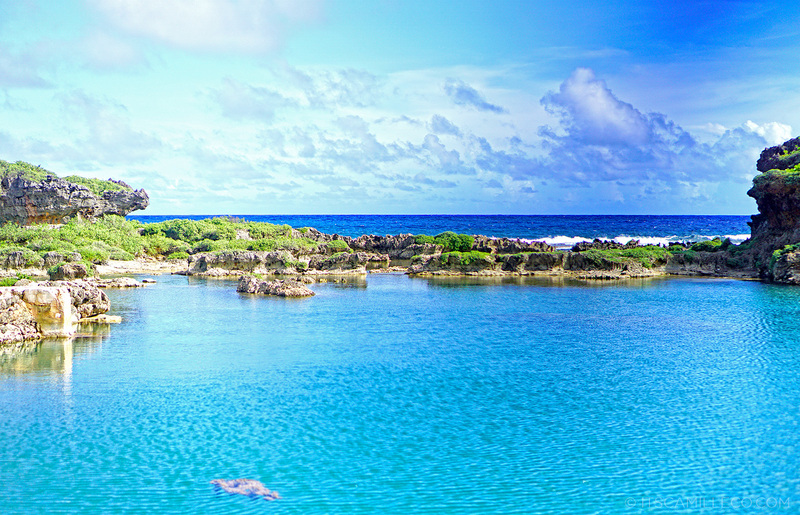 Blue skies, clear waters! 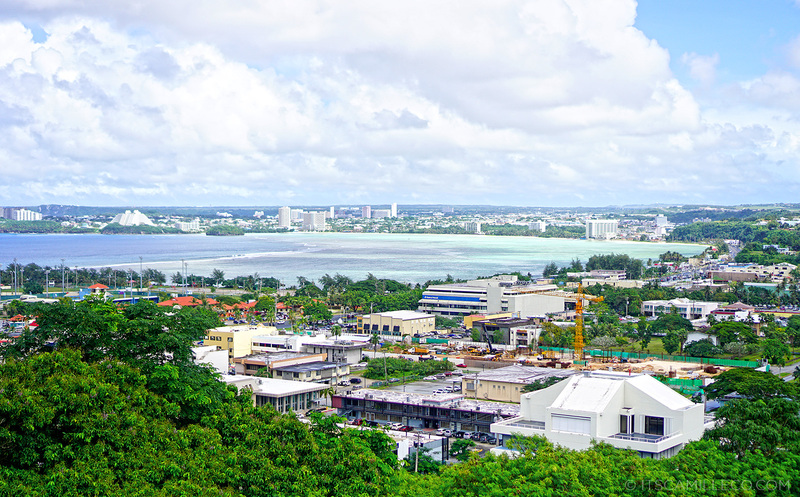 Obviously, there’s no shortage of vantage points here in Guam! 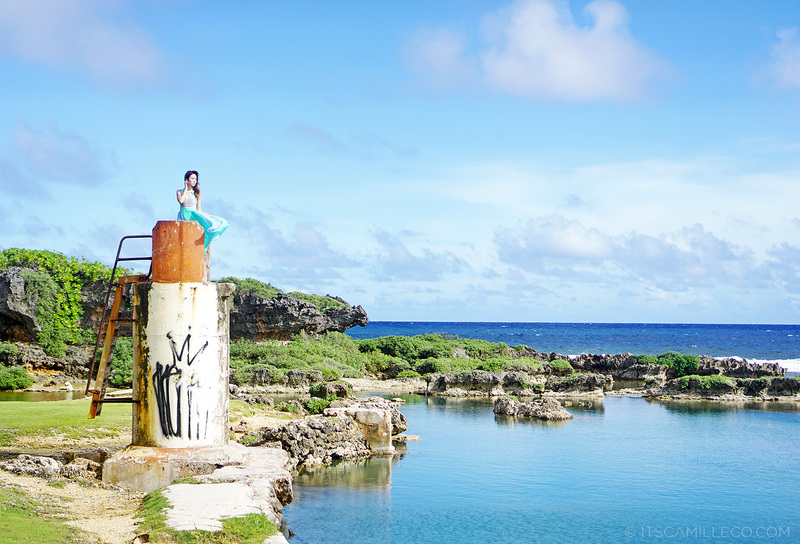 More than the historical sites, it’s Guam’s natural charm that stole my heart. looking at the awesome green and blue colors of the dress alone makes me feel happy. Thank you for sharing and keep exploring! Breathtaking and stunning images! How was the weather when you visited? Why do you love twirl so much? Haha! :) I don’t know! I love to sit on different surfaces too if you’ve noticed. LOL! It’s the first time I’ve seen such beauty. Clear waters, blue skies and so much green surroundings. It’s so breathtaking. 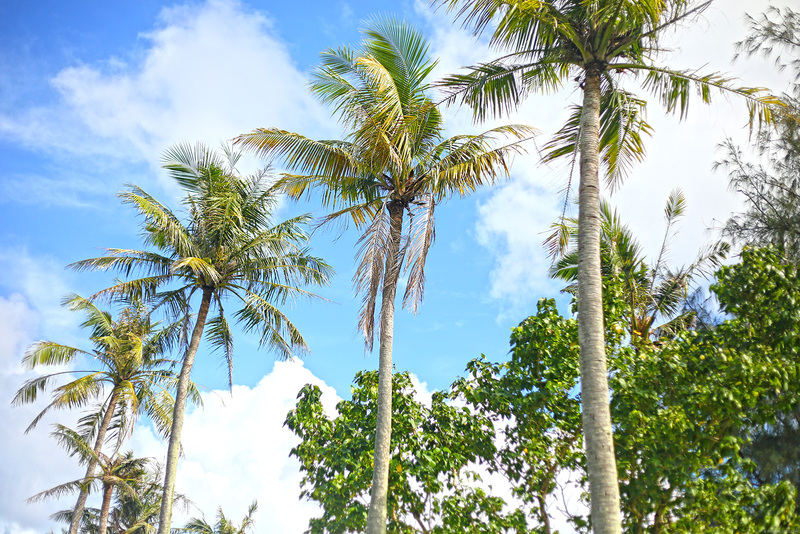 A scenery like Guam is perfect for a relaxing vacation. Guam is so beautiful! 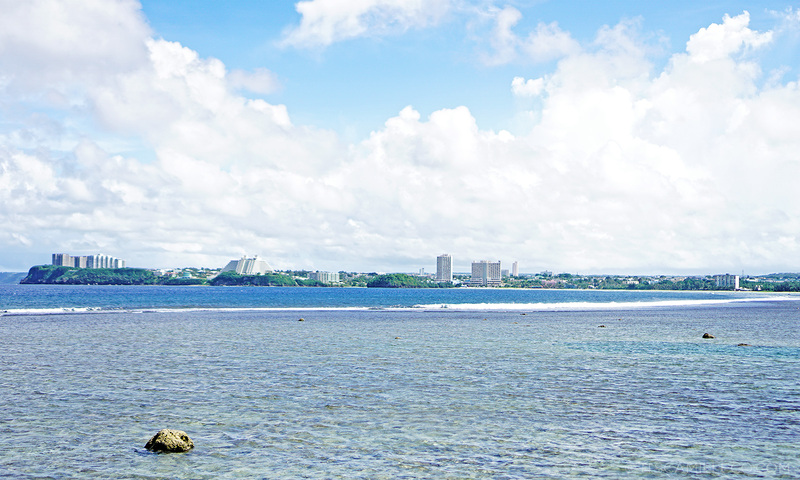 Guam and you – the perfect combination! 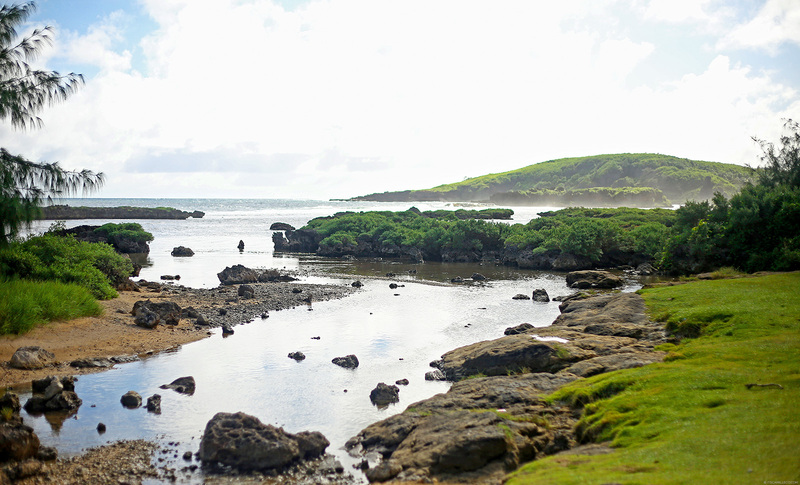 This is so interesting, I hadn’t thought of visiting Guam but the natural swimming pools look amazing! Hi Cams! What is the brand of your shoes in the first pic at Lina’la Chamorro Cultural Park? Thank you! Fantastic photos as always! 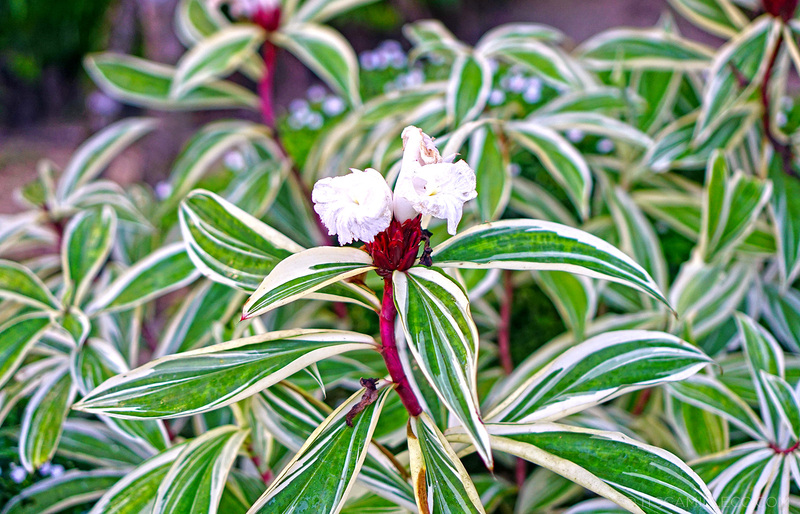 I love the vivid colors of nature, very inspiring. What camera did you use? Also, what’s the color of your hair? :) Thanks! Thank you Jhanna! I used both my Canon 5d mark iii and Sony A6000 :) I’m not sure what my hair color is. Ash blonde maybe? i want to go there too!! budget friendly naman po ba mag-tour dyan?transpo?accomodation?how about the FOOD? hihi..i will really appreciate your reply ate camille. thanks! God bless! I agree with your observation about the skies in Guam. They are so blue! And I love the natural swimming pools. Guam is a wonder, Miss Camille! The places you visited are filled with so much history. I bet if those walls and stones could talk, they’d have plenty to share. I’m awed by the natural pools you showed here. The waters look so serene. Like they’re keeping a lovely secret beneath their stillness and you’ll only find out if you take the chance. Cap all that off with blue skies, and you’ll have the most relaxing feeling. I see why you dubbed their skyline as off-the-charts. Just looking at the pictures made me think of peaceful days ahead. And you did a twirl photo in your dress! The fabric is like water when it flows. It’s my favorite fashion in motion photo capture. I seriously wish you can write my posts for me! You described these places even better than me! :) Thank you Angelic! Cams your photos are breathtaking! I loved the one where you were up that tower-like structure. Whoever took that photo? You’re welcome! :) Thanks Indre! Like so much your style, nice dresses!! MES VOYAGES À PARIS BLOG – THE BEST OF 2014!! !